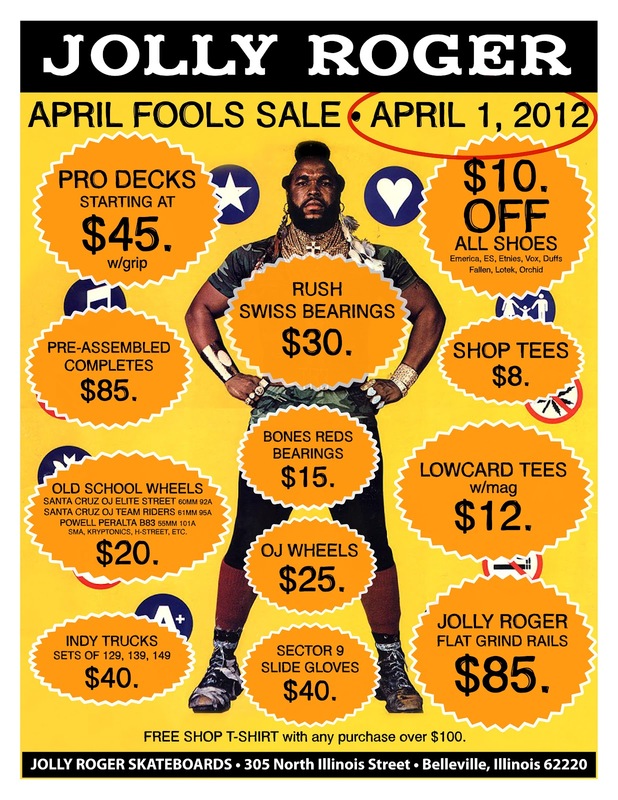 Stop in this Sunday for the JOLLY ROGER APRIL FOOLS DAY SALE! 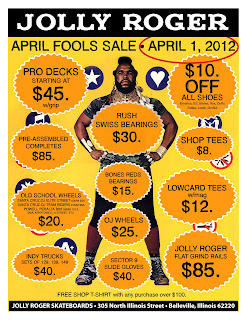 We have a ton of product in stock so you shouldn't have a problem finding something. 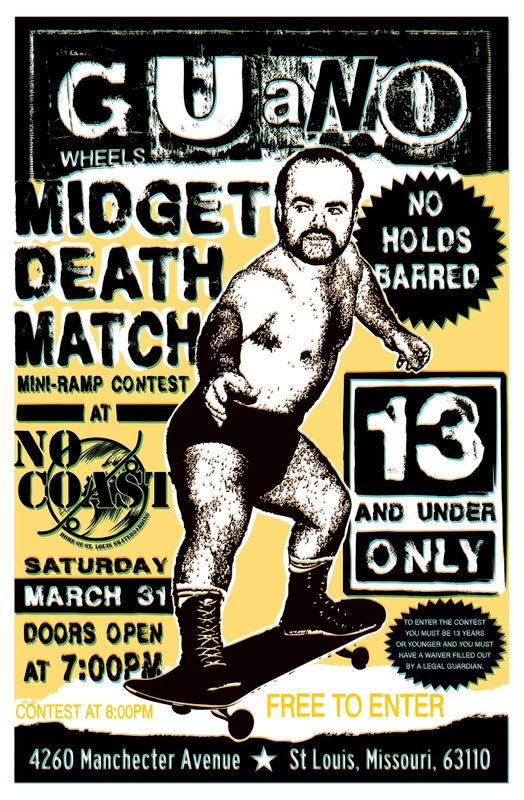 *REMINDER for all of you little lads out there, Don't forget about the Guano Wheels Mini-Ramp Contest at No Coast Skateboards on Saturday Night at 7:00pm. 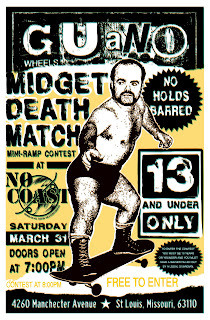 This contest is for skaters that are 13 years and younger only. 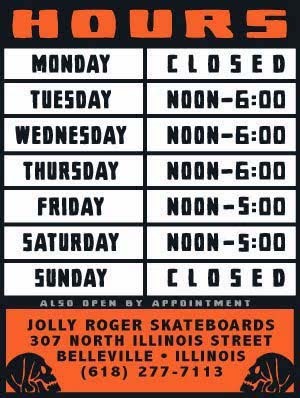 It is FREE to enter but if it is your first time at No Coast you will have to have a waiver signed by a legal guardian if you want to participate.